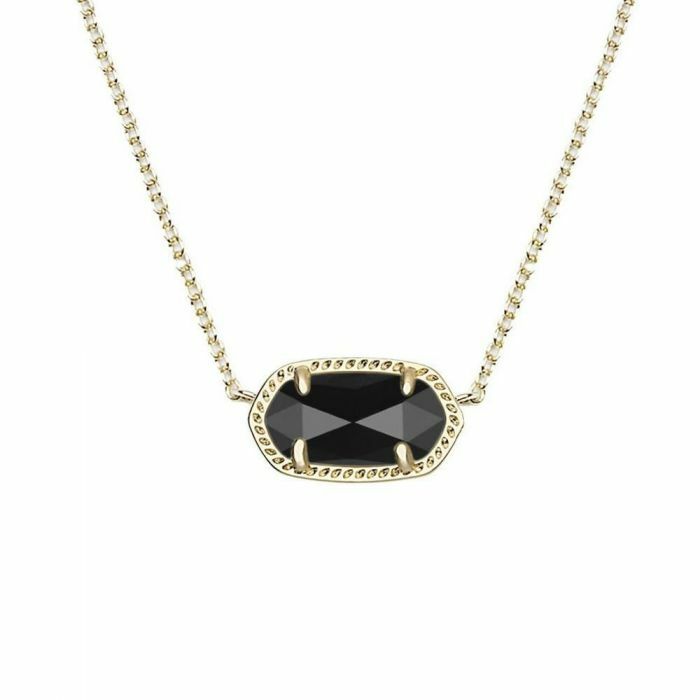 From Kendra Scott, this best-selling Elisa pendant features a staple black hue in the classic KS oval silhouette. This understated style is a great option for everyday and pairs with your favorite formal ensemble as well. This style is 14k gold plated over brass, the stationary pendant is 0.63 inches in length and 0.38 inches in width. It is on a 15 inch chain with a 1 inch extender and lobster claw closure.